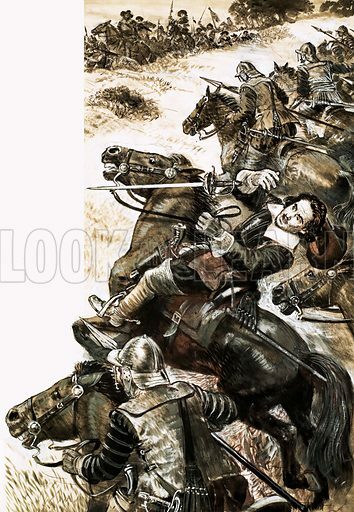 The best pictures of John Hampden are striking images of the great Parliamentarian and his death during the Civil War. 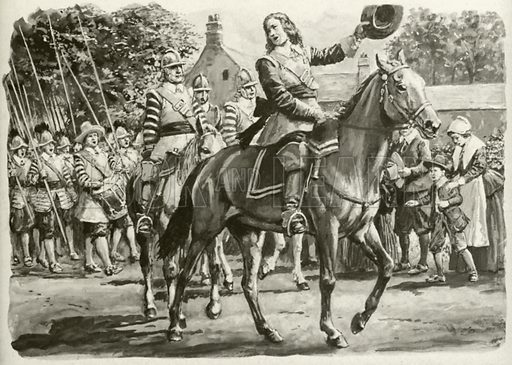 The first picture shows John Hampden and his body of troops. The second picture shows the death of Hampden. 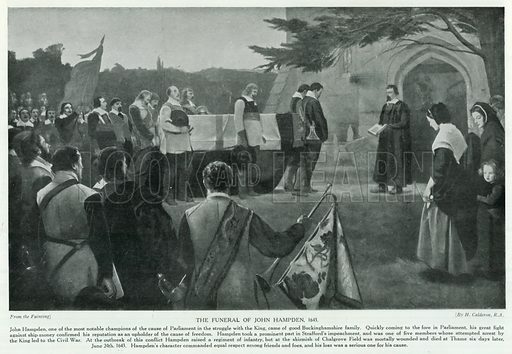 The third picture shows his funeral.